The system is equipped with RF-5800 FALCONTM II series VHF and TechnomadTM audio systems fitted with two Berlin 15/H loudspeakers, a Control Rack, cables, tripod, microphone, CD/tape player. The speakers are waterproof and can be installed in outdoor applications. The system supports voice, data communication and PSYOPS broadcast requirements while “On-the-Move” or while deployed in a “Static” location. 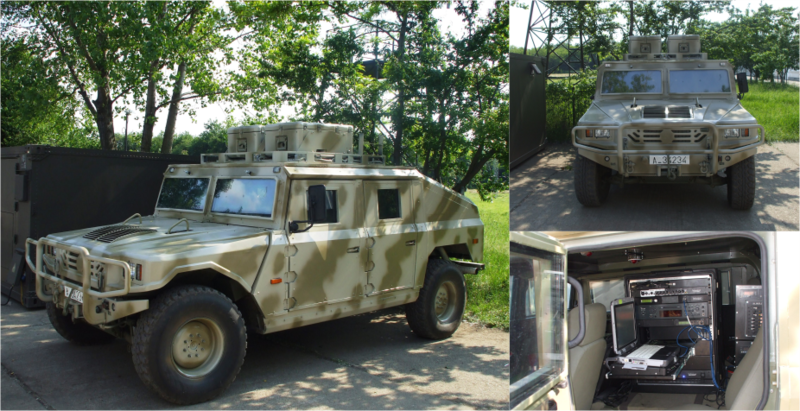 A TT URO, VAMTAC S3 type 4PC four-wheel drive vehicle, fitted with a protected cabin for the crew area, provides the common mobile platform for the communications system.